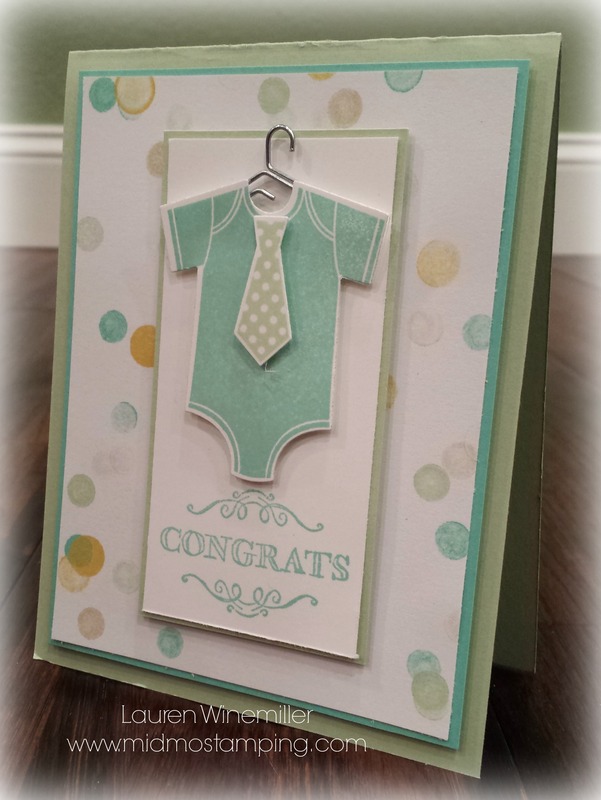 I used Something for Baby stamp set and the coordinating Baby’s First Framelits (save 15% when you Bundle the two!). I used the Lullaby Designer Series Paper as my color inspiration for my coordinating card stock. “Enjoy the fuss” is from the Big News stamp set. This is ONE of the 3 card designs we will stamp at my upcoming event: Birthdays & Babies Stamp-a-Stack on Tuesday January 20th! Space is limited, so please RSVP to reserve your spot. The Sale-a-Bration and Occasions Catalogs are in FULL SWING!!! Hip Hip Hooray!!! You can shop online 24/7 @ www.laurenwinemiller.stampinup.net or contact me to set up your own stampin’ get-together with friends and family!